Observations on film art : What makes Hollywood run? William S. Hart and crew at Inceville, 1910s. For decades most people had a sketchy idea of The Hollywood Studio Film. Boy meets girl, glamorous close-ups, spectacular dance numbers or battle scenes, happy endings, fade-out on the clinch. But even if such clichés were accurate, they didn’t cut very deep or capture a lot of other things about the movies. 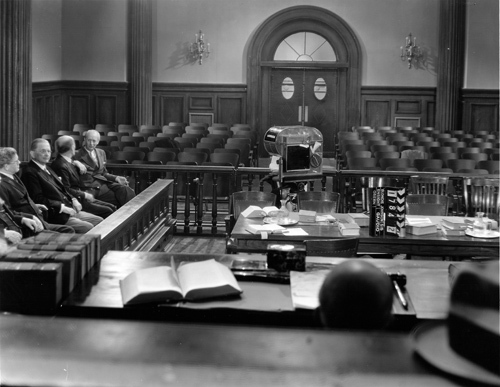 Could we go farther and, suspending judgments pro or con the Dream Factory, characterize U. S. studio filmmaking as an artistic tradition worth studying in depth? Could we explain how it came to be a distinctive tradition, and how that tradition was maintained? 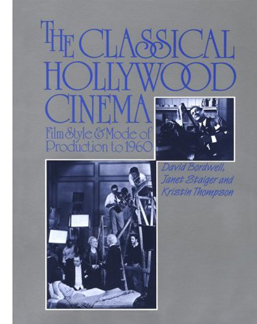 In 1985 Routledge and Kegan Paul of London published The Classical Hollywood Cinema: Film Style and Mode of Production to 1960. Kristin, Janet Staiger, and I wrote it. Since it’s rare for an academic film book to remain in print for twenty-five years, we thought we’d take the occasion of its anniversary to think about it again. Those thoughts can be found in the adjacent web essay, where we three discuss what we tried to do in the book, spiced with comments about areas of disagreement and more recent thoughts. This blog entry is just a teaser. 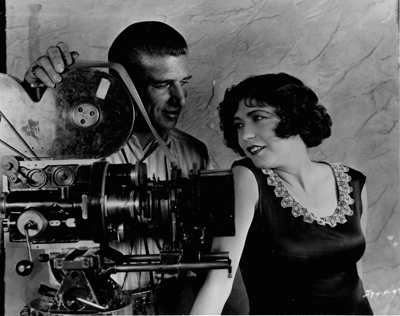 John Arnold, a Bell & Howell camera, and Renée Adorée in 1927. The prospect of analyzing Hollywood as offering a distinctive approach to cinematic storytelling emerged slowly. The earliest generations of film historians tended to talk about the emergence of film techniques in a rather general way. For example, historians were likely to trace the development of editing as a general expressive resource, appearing in all sorts of movies. While they recognized that, say, the Soviet filmmakers made unusual uses of this technique, writers still tended to think of editing as either a fundamental film technique or a very specific one—e.g., Eisenstein’s personal approach to editing. An alternative approach was to understand the history of film as an art as a stream of cinematic traditions, or modes of representation, within which filmmakers worked. From this angle, there was a Hollywood or “standard” or “mainstream” conception of editing, and this didn’t exhaust all the creative possibilities of the technique. But it went beyond the inclinations of any particular director. People had long recognized that there were group styles, like German Expressionism and Italian Neorealism, but it took longer to start to think of mainstream moviemaking as, in a sense, a very broad and fairly diverse group style. In the late 1940s André Bazin and his contemporaries started to point out that different sorts of films had standardized their forms and styles quite considerably. Bazin attributed the success of Hollywood cinema to what he called “the genius of the system.” In my view, his phrase referred not to the studio system as a business enterprise but rather to an artistic tradition based on solid genres and a standardized approach to cinematic narration. This artistic system, he suggested, had influenced other cinemas, creating a sort of international film language. The idea that there was a dominant filmmaking style, tied to American studio moviemaking, was developed in more depth during the 1960s and 1970s. Christian Metz’s Grande Syntagmatique of narrative film pointed toward alternative technical choices available in the “ordinary film.” Raymond Bellour’s analysis of The Birds, The Big Sleep, and other films pointed to a fundamental dynamic of repetition and difference governing American studio cinema. Somewhat in the manner of Roland Barthes’ S/z, Thierry Kuntzel’s essays explored M and The Most Dangerous Game looking for underlying representational processes that were characteristic of studio films. From a somewhat different angle, in the book Praxis du cinema and later essays Noël Burch traced out a dominant set of techniques that formed what he would eventually call the “Institutional Mode of Representation.” The Cahiers du cinéma critics famously posited different categories of filmic construction, each one tied to the representation of ideology. In English, Raymond Durgnat was an early advocate of studying what he called the “ancienne vague,” the conventional filmmaking that young directors were rebelling against. The trend was given a new thrust by the British journal Screen, which disseminated the idea of a “classical narrative cinema,” a mode of representation characterized by distinctive dynamics of story, style, and ideology. Perhaps the most emblematic article of this sort was Stephen Heath’s in-depth analysis of Touch of Evil. Over the same years a new generation of film historians was studying early cinema with unprecedented care, and they too were finding a variety of modes of representation at work in filmmaking of the pre-1920 era. The effect was to relativize our understanding of Hollywood. Mainstream U. S. commercial filmmaking wasn’t the cinema, merely one branch of film history, one way of making movies. Breaking a scene into a coherent set of shots, to take the earlier example, wasn’t Editing as such. It was one creative choice, although it had become the dominant one. And what made Hollywood’s brand of coherence the only option? Eisenstein, Resnais, Godard, and other filmmakers explored unorthodox alternatives. Nearly all of the influential research programs of the period emphasized the film as a “text.” This wasn’t surprising, since several of the writers were working with concepts derived from literary semiotics and structuralism. At the same period, other scholars were developing ideas about Hollywood as a business enterprise. Douglas Gomery, Tino Balio, and a few others were showing that the studio system was just that—a system of industrial practices with its own strategies of organization and conduct. But most of those business studies did not touch on the way the movies looked and sounded, or the way they told their stories. Could the two strains of research be integrated? Could one go more deeply into the films and extract some pervasive principles of construction? And could one go beyond the films and show how those principles of style and story connected to the film industry? The prospect of integrating these various aspects—and, naturally, of finding out new things—intrigued us. Main Street to Broadway (1953, MGM release). Cinematographer James Wong Howe on left. The overall layout of CHC tried to answer these questions while weaving together a historical overview. Part One, written by me, provided a model or ideal type of a classical film, in its narrative and stylistic construction. Part Two, by Janet, outlined the development of the Hollywood mode of production until 1930. In Park Three, Kristin traced the origins and crystallization of the style, from 1909 to 1928. Part Four included chapters by all three authors on the role of technology in standardizing and altering classical procedures during the silent and early sound era. In Part Five Janet resumed her account of the mode of production, tracing changes from 1930 to 1960. The technology thread was brought up to date in Part Six, where I discussed deep-focus cinematography, Technicolor, and the emergence of widescreen cinema. Part seven, which Janet and I wrote together, pointed out implications of the study and suggested how Hollywood compared with alternative modes of film practice. Clearly, CHC was several books in one. Janet could easily have written a free-standing account of the mode of production. Kristin could have done a book on silent film technique and technology. I could have focused on style and form, using sound-era technologies as test cases. The point of interspersing all these studies (and creating a slightly cumbersome string of authorial tags within sections) was to trace interdependences. For instance, Kristin examined the emerging stylistic standardization in the 1910s. Janet showed how that standardization was facilitated by a systematic division of labor and hierarchy of control, centered around the continuity script. At the same time, the organization of work was designed to permit novelties in the finished product, a process of differentiation that is important in any entertainment business. Moreover, once the stylistic menu was standardized, it reinforced and sometimes reshaped the mode of production. At every turn we found these mutual pressures, a mostly stable cycle among tools, artistic techniques, and business practices. Once the studios became established, they needed to outsource the development of new lighting equipment, camera supports, microphones, make-up, and other tools. A supply sector grew up, carrying names like Eastman, Bell & Howell, Mole-Richardson, Western Electric, and Max Factor. But the suppliers had to learn that they couldn’t innovate ad libitum. The filmmakers laid down conditions for what would work onscreen and what would fit into efficient craft routines. In turn, the routines could be adjusted if a new tool yielded artistic advantages. And the whole process was complicated by an element of trial and error. The film community often couldn’t say in advance what would work; it could only react to what the supply firms could provide. 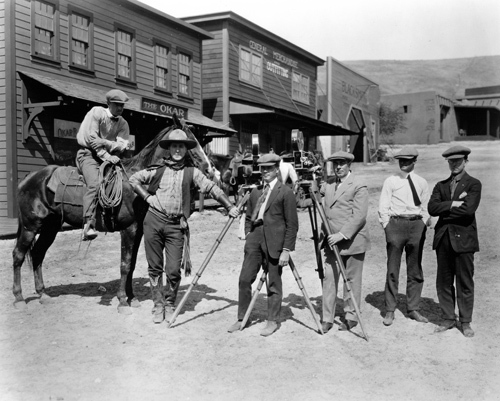 In the late 1920s, for instance, sound recording made the camera heavier than the tripods of the silent era could bear. Supply firms engineered “camera carriages” that could wheel the beast from setup to setup. But this development occurred soon after filmmakers had noticed the expressive advantages of the “unleashed camera” in German films and some American ones. So the camera carriage became a dolly, redesigned to permit moving the camera while filming. It’s not that there weren’t moving-camera shots before, of course, but with the camera permanently on a mobile base, tracking and reframing shots could play a bigger role in a scene’s visual texture. Similarly, studio demands for ways of representing actors’ faces in close-ups forced Technicolor engineers back to their drawing boards again and again. Once the problem of rendering faces pleasant in color was solved, filmmakers could then redesign their sets and adjust their make-up to suit the vibrant three-strip process. And the interaction of work, tools, and style triggered larger cycles of activity. 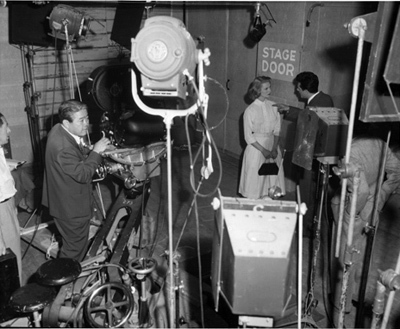 The need to pool information about stylistic demands and technological possibilities helped foster the growth of professional associations and the Academy of Motion Picture Arts and Sciences. This give-and-take among the studios, the supply sector, and the stylistic norms had never been discussed before, and we couldn’t have done justice to it in separately published books. Nor could isolated studies have easily traced how industrial discourses—the articles in trade journals, the communication among the major players—helped weld the mode of production to artistic choices about filmic storytelling. The Classical Hollywood Cinema was generously reviewed, in terms that made us feel our hard work had been worth it. Books we’ve written since haven’t been so widely acclaimed. (Nothing like peaking young.) We’re grateful to the reviewers who praised the book, and to the teachers and students who have strengthened their biceps by picking it up to read. Of course there are others who don’t consider the project worthwhile; the TLS reviewer called it “sludge.” Probably nothing we say in the accompanying essay will persuade those readers to take a second look. Without responding to all the criticisms the book received (that would take a book in itself), our accompanying essay tries to position this 1985 project within our current lines of thinking. We studied how Hollywood routinized its work, but that doesn’t mean that we think division of labor is always alienating. It may produce a much better outcome than do the efforts of a solitary individual. For us, that’s what happened during this rewarding exercise in collaboration. Our thinking was shaped by many sources; here are some of them. For André Bazin on “the genius of the system,” see “La Politique des auteurs,” in The New Wave, ed. Peter Graham (New York: Doubleday, 1968), pp. 143, 154, and “The Evolution of the Language of Cinema,” in What Is Cinema? ed. and trans. Hugh Gray (Berkeley: University of California Press, 1967), pp. 23-40. Christian Metz explains the Grande Syntagmatique of the image track in “Problems of Denotation in the Fiction Film,” Film Language, trans. Michael Taylor (New York: Oxford University Press, 1974), 108-146. Raymond Bellour’s essays of the period are available in The Analysis of Film. Thierry Kuntzel’s essay on The Most Dangerous Game was translated into English as “The Film-Work 2,” Camera Obscura no. 5 (1980), 7-68. An important gathering of essays in this line of inquiry is Dominique Noguez, ed., Cinéma: Théorie, lectures (Paris: Klincksieck, 1973). Noël Burch’s early ideas are set out in Theory of Film Practice, trans. Helen R. Lane (New York: Prager, 1973). Even more important to our project was Noël Burch and Jorge Dana, “Propositions,” Afterimage no. 5 (Spring 1974), 40-66, and Burch’s To the Distant Observer: Form and Meaning in Japanese Film (London: Scolar Press, 1979), available online here. Raymond Durgnat’s series, “Images of the Mind,” deserves to be republished, preferably online. The most relevant installments for this entry are “Throwaway Movies,” Films and Filming 14, 10 (July 1968), 5-10; “Part Two,” Films and Filming 14, 11 (August 1968), 13-17; and “The Impossible Takes a Little Longer,” Films and Filming 14, 12 September 1968), 13-16. Stephen Heath’s analysis of Touch of Evil may be found in “Film and System: Terms of Analysis,” Screen 16, 1 (Spring 1975), 91-113 and 16, 2 (Summer 1975), 91-113. Barry Salt’s Film Style and Technology: History and Analysis (London: Starword, 1983) works in comparable areas to CHC, though without our interest in industry-based sources of stability and change. The newest edition is here. Tino Balio’s courses and his collection The American Film Industry (Madison: University of Wisconsin Press, 1976) had a substantial influence on us. He has been a wonderful friend and guide for us all since the 1970s. Our friendship with Douglas Gomery dates from our early days in Madison. Many conversations, along with his teaching in our program, shaped our thinking. A good summing up his of decades of work on the business and economics of Hollywood is The Hollywood Studio System: A History (London: British Film Institute, 2008). PS 26 September 2010: Douglas Gomery reminds me that the idea of sampling Hollywood films in an unbiased fashion–one feature of our method in CHC–was suggested to us by Marilyn Moon, economist extraordinaire. I’m happy to thank Marilyn, along with Joanne Cantor and Douglas himself, who helped us devise a sampling procedure. Actors and set for Blondie Johnson (Warners, 1933). This entry was posted on Wednesday | September 22, 2010 at 11:00 am	and is filed under Film comments, Film criticism, Film history, Film industry, Film scholarship, Film technique, Hollywood: Artistic traditions, Hollywood: The business, Narrative strategies. Responses are currently closed, but you can trackback from your own site.